You may know the boiled frog experiment. 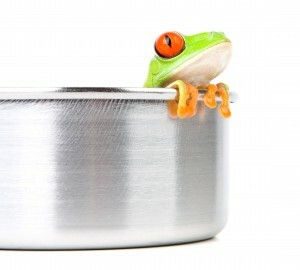 Put a frog in a pot of warm water and it will detect the warmth and jump out. But the bizarre thing is if you put it in a pot of water at room temperature then heat it slowly, the frog can’t detect ANY change and will stay there until it literally boils to death. Even though it has highly sensitive skin it can’t detect small incremental changes in temperature. (Please don’t try this at home – just trust me on this one). 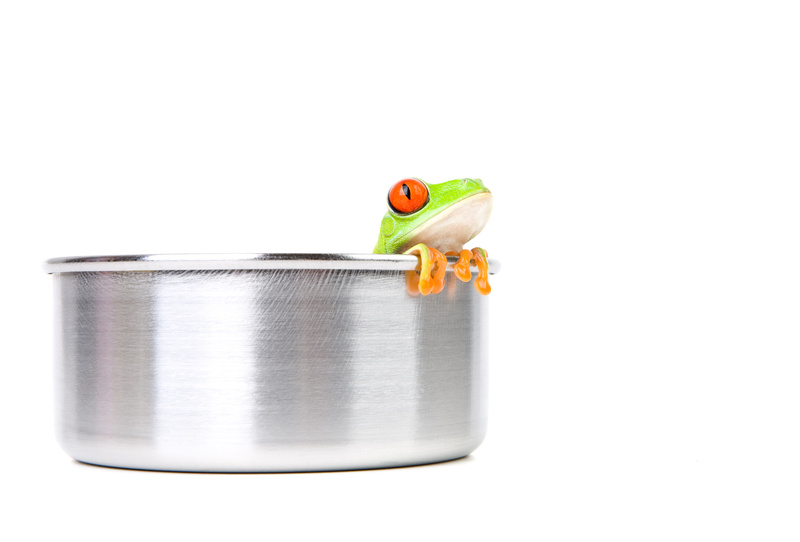 I think the boiled frog experiment is very relevant for people and stress. We can all feel the impact of a big stressor in our life but do we notice the slow and gradual increases? For many, stress has become the norm. We are stressed until we have a ‘holiday’ or have time out. We may even feel if we are not stressed then we are lazy or not trying hard enough. We may feel guilty unless we are stressed. Stress has become part of everyday life. Sure, you can ‘cope’ but are you actually sitting in a pot of hot water unaware of the impact on your body? Firstly the body’s stress response is critical. It is a clever and primitive response to a threat. The brain detects a threat and creates a biological shift to ready us for action. The brain triggers the Sympathetic Nervous System Response – the Fight or Flight response. We need energy in the limbs to run away or fight so energy is diverted from all nonessential, high energy body systems. Functions like immune response and digestion are important but in the moment of threat are high energy users and unnecessary. So that energy is better diverted to our limbs. Stress hormones therefore impede digestive function and immune function – clever because it keeps us alive. Basic brain function also uses massive amounts of energy. 25% of our energy goes to keeping the brain working. In the moment of threat that energy is better spent running away so the stress response redirects that energy to our limbs and in doing so impairs higher cognitive function. And lastly the presence of adrenaline makes the nervous system highly sensitive and alert. We are wired and ready. Our body is now in a highly protective survival mode and ready to fight. The problem is not the stress response but its inappropriate usage. Unfortunately the brain will trigger this response with ANY threat, real or perceived, physical or psychological, throwing us biologically into survival mode. Luckily we are robust and can live with levels of inappropriate stress hormones but it will be having an impact. Partly because when we are running in Fight or Flight mode, we are not in the other mode – the Parasympathetic Response – also known as ‘Rest & Digest’. It is in this ‘Rest & Digest’ mode that we best store energy, digest food, repair injury, have optimal immune function and and think creatively. When the threat has passed and we return to the Rest & Digest state we move from ‘survive’ to ‘thrive’. It’s a biological choice between ‘Fight or Flight’ or ‘Rest & Digest’. So while there is nothing wrong with stress, it is crucial for optimal health that the response is APPROPRIATE. Due to the highly adaptive nature of the brain, in time people can get stuck in responding historically rather than appropriately and when it comes to stress this has biological consequences. Our physical health is not just about eating well, sleeping well and keeping active. A dysfunction in the production of Stress hormones will impact on our physical health. The good news is that stress is something we can do something about. We can take charge and change our life-style, our behaviour, our attitudes, beliefs or perspectives rather than just coping with stress. We also don’t have to avoid the things that set us off. We can recognise that the problem may not be the stressor or trigger (work, people, exercise, food, chemicals etc ) but how the brain is responding to it. We can then look to retrain the brain to respond in more appropriate ways. So sure you might be ‘coping’ pretty well but maybe it’s time think about jumping out of the pot?